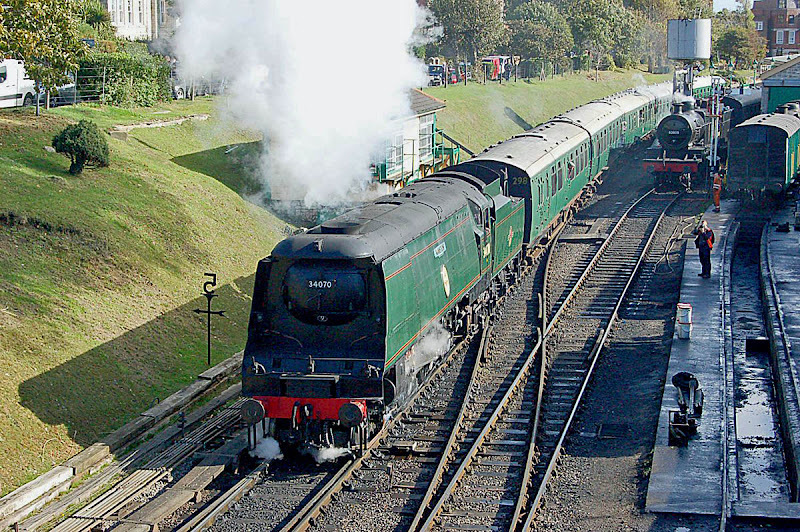 SDJR 7F 53809 departs from Swanage. 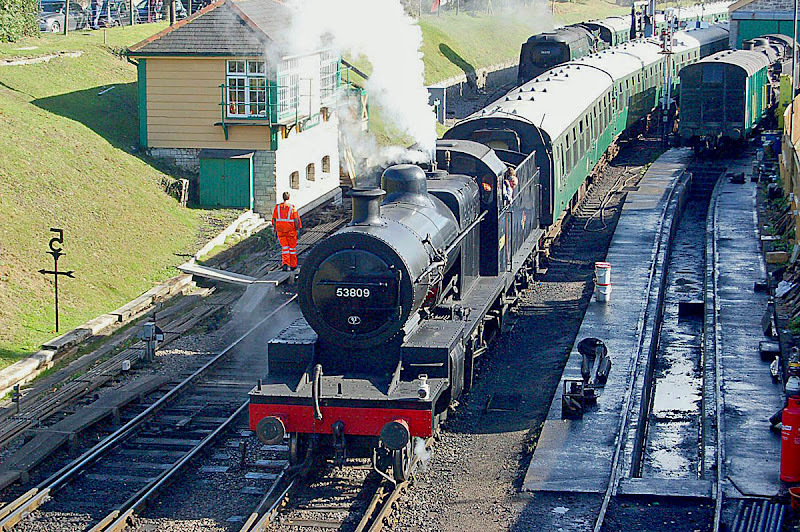 SR BB 34070 Manston departs from Swanage. 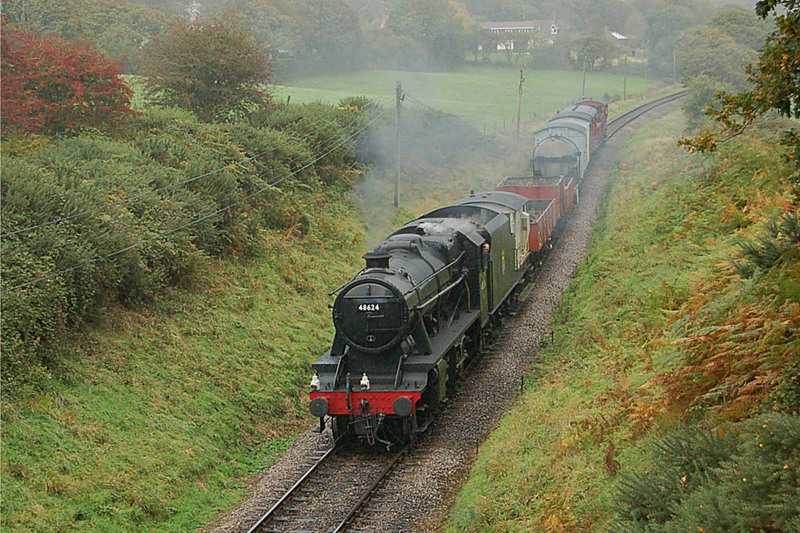 LMS 8F 48624 approaches Harmans Cross. 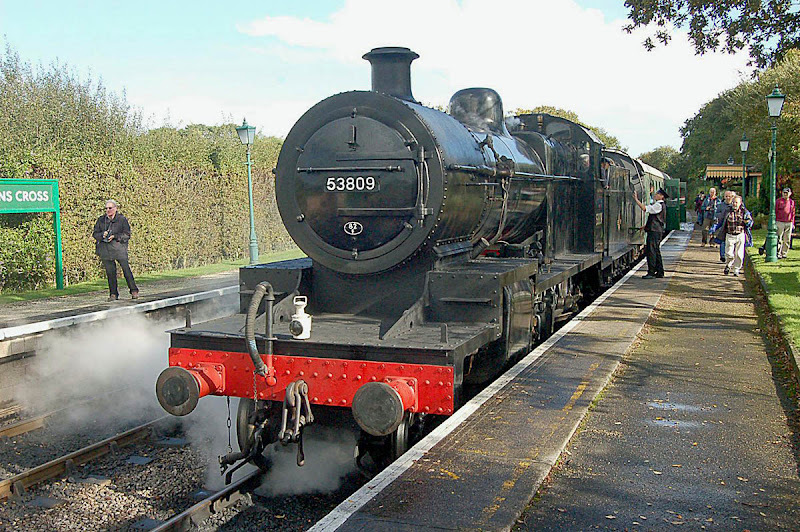 53809 pauses at Harmans Cross. 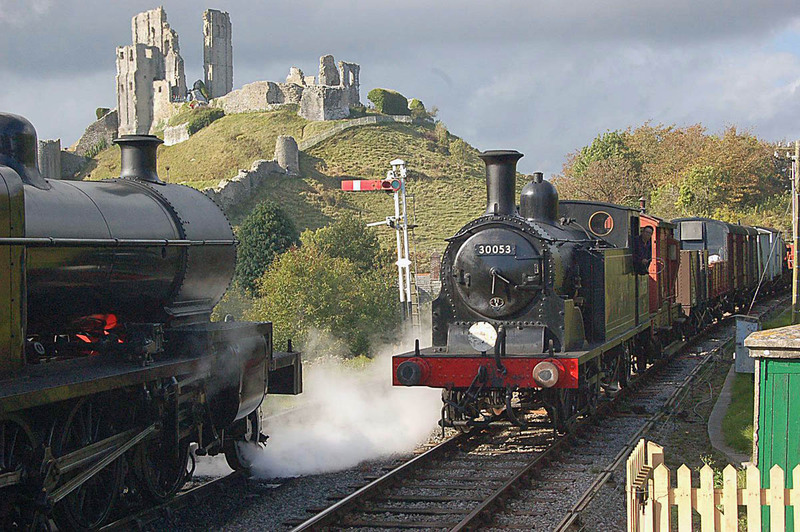 53809 and LSWR M7 30053 meet at Corfe Castle.